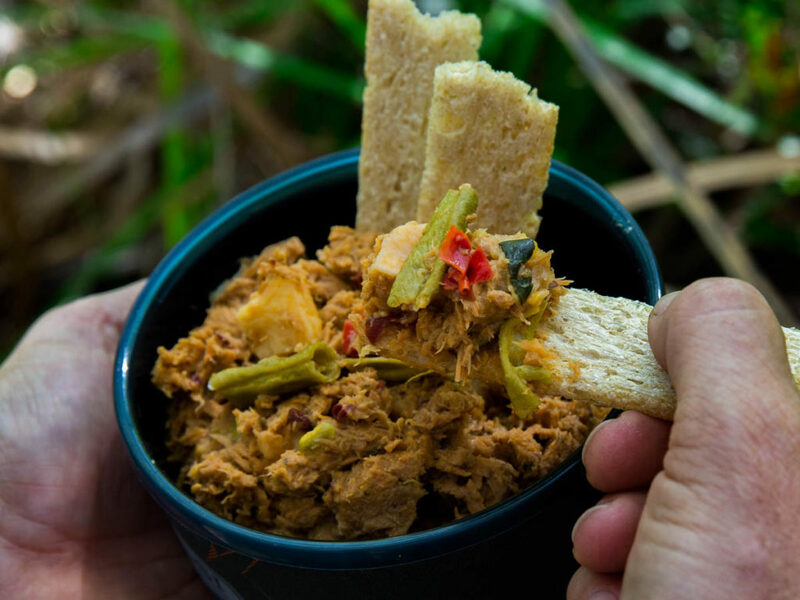 Campers Pantry has released another freeze dried meal – this one is Tuna Beans. The range from Campers Pantry has grown over the past year and is now widely enjoyed by outdoor enthusiasts. I, like a lot of women and a growing number of men, have the obligatory tin of tuna tucked away in a desk drawer at work. That’s a lot of tuna enthusiasts but it does sometimes surprise me that not many people own up to liking tuna! I mean the number of shelves of tinned tuna in the supermarkets is being consumed by someone surely? Well I don’t mind admitting that I like tuna – in all forms. And I do miss it when I’m hiking. I like the taste and its a much needed injection of protein which is hard to source when hiking. I won’t carry tins on hikes but I have packed the tuna poaches in my food rotation – a bit heavy and sometimes a bit too ‘creamy’ for me but still good. 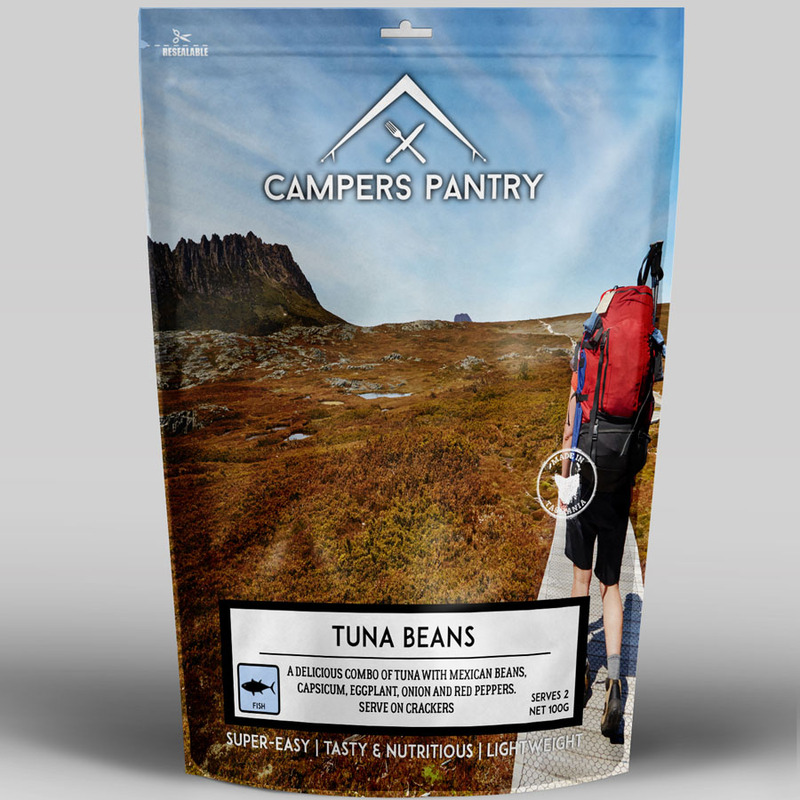 The Campers Pantry Tuna Beans solves the taste and weight issues, and also provides a big hit of protein and fibre. The pack size is 100g and the preparation is simply the addition of cold water and a good stir which makes it a terrific lunch option. It is suggested you use 500mls of water but I would try 400mls first, wait a bit and then add a bit more. 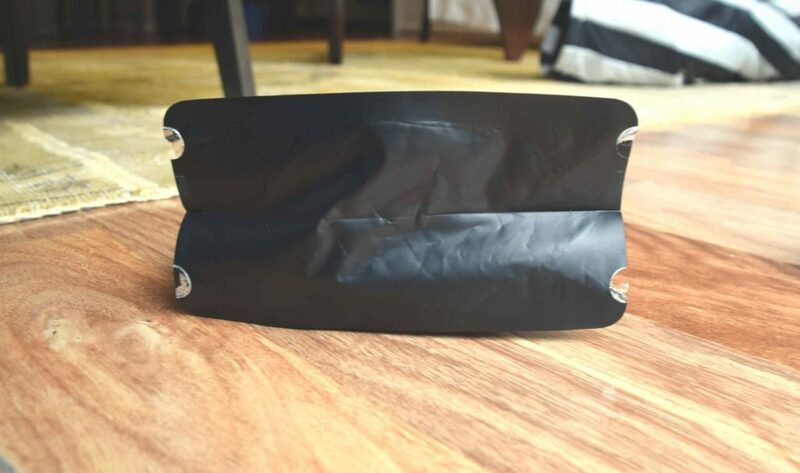 This way you’ll get just the right amount of moisture for you and you hiking buddy. Ensuring my lunches on the trail are interesting is a big challenge for me – there are only so many peanut butter wraps that a person can consume in a week. So the Tuna Beans solves that problem too! The tuna is plentiful and the beans are fresh. You will definitely get a tuna hit from this meal. 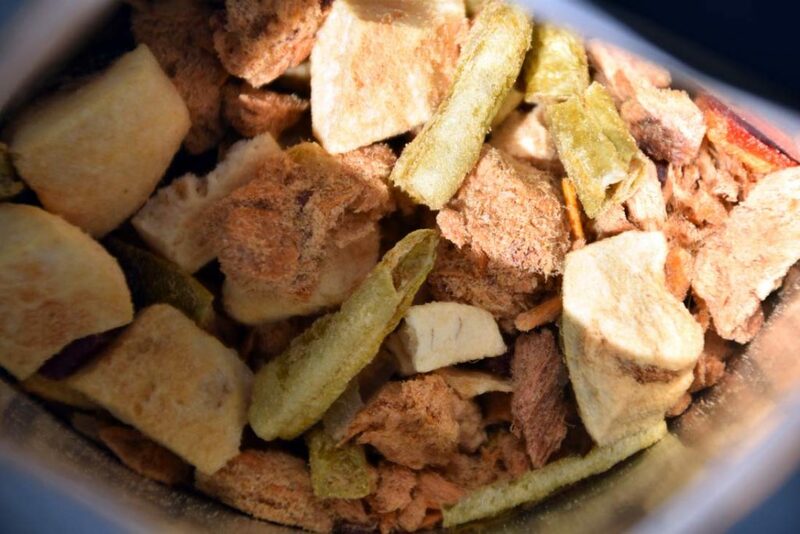 The texture is great and you can recognise what you’re eating – a very important aspect for me! The flavour of this meal is very tasty but for those wanting a bit more flavour you can always add your favourite spice. I will definitely add this meal to my hiking rotation – I’ll overcome the ‘serves 2’ size by splitting the pack before hydrating. Challenge sorted!